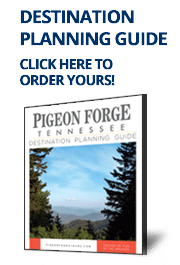 Pigeon Forge group tours are memorable for everyone! Along the Parkway are thrilling attractions to partake in together. Here you’ll discover several venues perfect for hosting your group tours large and small at any time of year. With more than 300 shopping adventures to be had,exciting entertainment, and extensive dining choices, Pigeon Forge group tours allow for everyone to have a good time! Start planning an action-packed trip your entire group will love, our sales office will be more than happy to assist you! Download the 2017 Great Smoky Mountain National Park Bus Tour Guide and explore The Smokies like never before!